Through a series of tweets by beat writers Adam McCalvy (MLB.com), Tom Haudricourt & Todd Rosiak (Milwaukee Journal/Sentinel), several decisions which directly impact the 25-man roster of the Milwaukee Brewers were disseminated from Spring Training on Sunday morning. With an opt-out decision looming today, first and foremost relief pitcher Blaine Boyer was told that he has made the 25-man roster. The move will eventually require a corresponding 40-man roster move as Boyer was in camp on a Minor League contract, but there are a handful of 60-day DL candidates so finding a spot (or two or three) won’t be difficult. The other player who got the best news was OF/1B Ramon Flores who was also told he’ll make the 25-man roster. Flores was acquired this off-season in trade from the Seattle Mariners in exchange for infielder Luis Sardiñas in a swap of players who were likely to be waived by their original clubs. Flores had a strong Cactus League and also showed a little versatility in being able to potentially backup Chris Carter at first base. As there are ultimately so few spots, many more players get the proverbial red ticket in their locker. Among those informed that they’ll begin the regular season in the minors are catchers Josmil Pinto and Manny Piña who were told they’ll be in Triple-A. Catcher Adam Weisenburger will apparently join them, giving Colorado Springs a trio of backstops. Will Middlebrooks was informed today that he’ll also be assigned to Triple-A after vying for a spot as a backup corner infielder. Once there he is expected to rotate at the corner infield positions with Andy Wilkins and Garin Cecchini. Joining them in the high-altitude infield will be Jake Elmore who was hoping to make the big league team as a reserve but came up short. In the outfield competition, Eric Young Jr. was told that he’ll also head to the Centennial State when camp breaks. He’ll be joined officially by Shane Peterson who, after passing through waivers earlier this winter, was also in camp on a minor-league deal. And finally, one official optioning came down as reliever David Goforth was sent out. Even with all the injuries to the bullpen recently, Goforth having minor league options was likely a key factor as others in the running for just a couple of spots had less team control due to no options or contract opt-outs like Boyer. Yadiel Rivera, Rule 5 Colin Walsh, and non-roster invitee Hernan Perez are competing for what is likely two open infield jobs. Keon Broxton (options remaining), Kirk Nieuwenhuis (no options), and Alex Presley (NRI) competing for likely two backup outfield spots. List is subject to change but here’s the original list as released by the Brewers. Advance tickets are $15 for adults and $9 for children 14 and under. Tickets on the day of the event are $20 for adults and $15 for children 14 and under. On the day event, cash is the only accepted form of payment for admittance. A portion of the proceeds from Brewers On Deck will benefit Brewers Community Foundation. Tickets may be purchased at the Miller Park ticket office by calling the Brewers ticket office at (414) 902-4000 or online at Brewers.com/ondeck through Friday, January 29. Once again, food donations will be accepted through Hunger Task Force. Donations can be dropped off at two main entrances to the Wisconsin Center, located at 4th Street and Wisconsin Avenue, and 4th Street and Wells Street. Brewers On Deck will feature a number of activities for the entire family. Autographs and photos from Brewers players, coaches and alumni; interactive games in the Kids Area; Q&A sessions and Klement’s Main Stage game shows with Brewers players, coaches and broadcasters; vendor booths with baseball memorabilia; Brewers Community Foundation’s Treasure Hunt, a 50/50 raffle, live auction and many other activities will all be a part of Brewers On Deck. During the event, the Brewers will unveil a new book – Explore MKE: Your Neighborhood Our City. 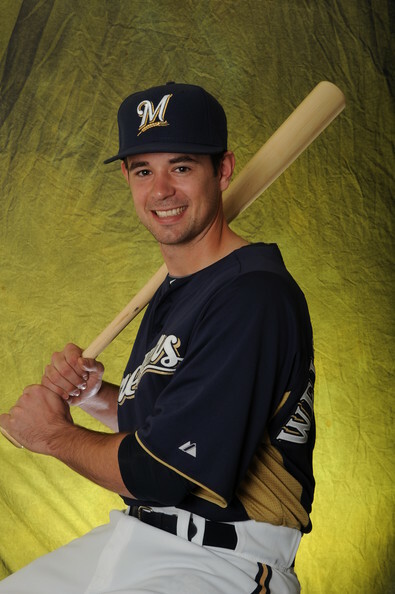 The Book is published by SHARP Literacy, Inc. and is sponsored by Brewers Community Foundation and Ryan Braun. It tells the story of two children who share their differing experiences of Milwaukee and are attempting to figure out how they fit in. It also features informational sections that weave together iconic Milwaukee institutions and neighborhood-based landmarks with important themes in common. SHARP Literacy, Inc. is a non-profit organization that enhances future life success by energizing urban children and motivating them to identify themselves as confident, capable scholars and lifelong learners by inspiring engagement in reading, writing and research through hands on interaction and visual arts. Details regarding autographs include the following: Recipients of “PREMIER” autographs (players to be announced at a later date) will be chosen through a random selection process. Each fan in attendance will receive one Premier Entry sheet which may be redeemed at the Random Selection area outside the Main Exhibit Hall of the Wisconsin Center. The Premier Entry sheet will be exchanged for a numbered coupon to be entered into the random selection process for any one of the select Brewers players. Coupon distribution will be available at 8 a.m. the day of the event and will continue up to an hour before each designated autograph session. There is no cost for coupons to enter the random selection process; however, those holding winning coupons must pay $25 at the respective autograph stage to collect their player signature. There will be 250 winners for each of the autograph sessions. The winning ticket numbers will be posted at the designated autograph stage no less than 30 minutes prior to each player’s session. Players and staff not included in the PREMIER autograph list will not use the random selection process. Each of these players will sign 250 autographs at prices ranging from free to $10. A schedule of players, their session times, and distribution info will be posted later. The autograph opportunities are for signatures on photo cards provided by the team. For additional information, visit Brewers.com/ondeck. Autograph proceeds benefit Brewers Community Foundation. Please note that cash is the only acceptable form of payment for autographs. The Brewers cannot guarantee that any player will sign other memorabilia, and personalization of items is solely up to the discretion of each player. As happened last year, the Milwaukee Brewers only recently announced the rest of their Spring Training jersey number updates for 2015. There are six players to catch up on who missed their own dates as a result. The reason for this bonus article is that, as mentioned above, these players were announced after the day on which they would have otherwise had their individual article written and posted. As in 2014, these won’t be in-depth profiles of these players but I wanted to make sure you knew a little something about them before camp opens and you see their names popping up in box scores. 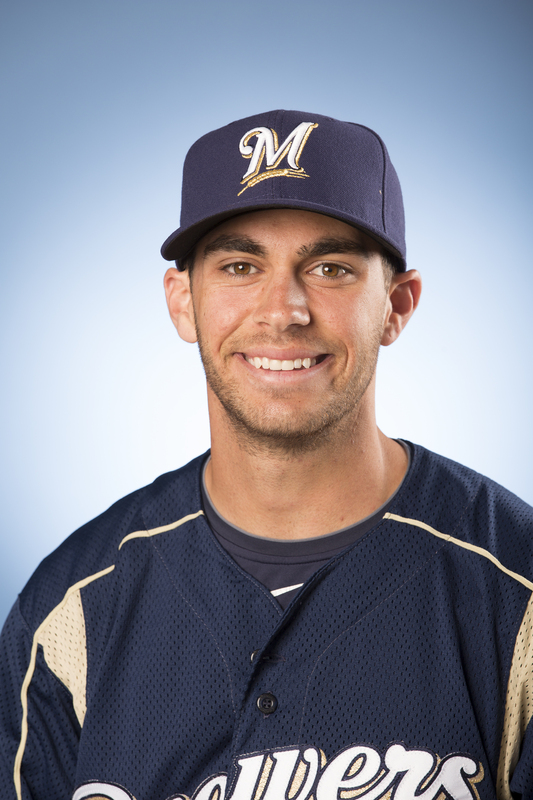 Tyler Jay Cravy, 25, is a 6’3″ right-handed pitcher from California who the Brewers drafted out of Napa Valley College in the 17th round of the 2009 draft. He’s been a 40-man roster consideration each of the last couple of years, especially the most recent one where Cravy posted a combined 1.64 ERA in 17 games (15 starts) for three different spots in the Brewers system. In 82.1 innings, Cravy struck out 76 batters, walking just 20. It may not have done the trick to get him on someone’s Rule 5 Draft board, but it was enough to garner him an invitation to big league camp this year. 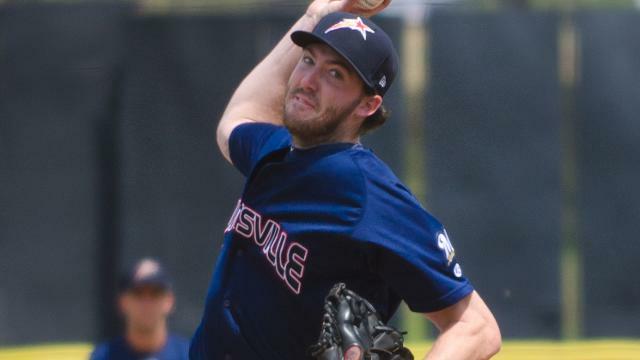 He’s likely to break camp with the new Class-AAA affiliate Colorado Springs, and it would seem as though he’s ticketed for their rotation after 2014. Cravy was primarily a bullpen arm for the three years prior. In contrast to how long it’s taken Cravy to reach big league camp, Jeffrey Hobbs Johnson will join the big leaguers in what is just his second spring training. Drafted in the 14th round out of North Carolina, the 23-year-old Rocky Mount native has performed very well as a professional. He had limited reps after signing in 2013 (11 games, no starts) between Helena (R) and Wisconsin (A) but posted very good numbers. Last year in his first full professional season, Johnson compiled a 12-8 record in 25 games (24 starts). He pitched to a 2.93 ERA in 147.1 innings for Class-A Advanced Brevard County. 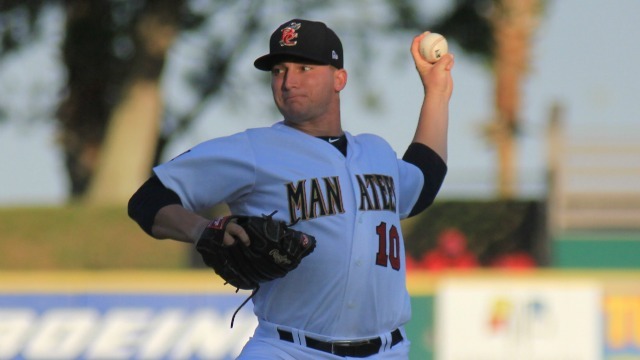 At 5’11”, the left-handed Johnson being a starter is something in which the Brewers are not exactly flush throughout their minor league system. The invite to big league camp should be viewed as the honor it is, a reward for a great season, but don’t take it to mean that Johnson has any shot at breaking camp on the 25-man roster. He’s still got a ways to go, especially when considering the standard Brewers development plan. Another smaller pitcher than the Brewers have targeted in recent years, Taylor G. Williams at 5’11” still has managed to turn heads in the organization and out. He’s got a quality profile and pitch arsenal, and has been putting things together nicely to this point in his young pro career. 2014 saw Williams post a combined 2.72 ERA between Class-A Wisconsin and Class-A Advanced Brevard County. He appeared in 27 games, making 17 starts. Williams pitched to a FIP and SIERA both until 3.00 as well, showing that the peripherals are supportive of his strong season as opposed to being red flags of regression. Williams kept his WHIP at 1.02 on the year as well, along with striking out 137 hitters in 132.1 innings pitched. At times, shorter pitchers have trouble keeping the ball down effectively. While it’s hardly an exact illustration of his ability, Williams allowed just eight home runs all of last year. His strikeout-to-walk ratio of 4.89 is high quality as well. The bottom line is that Williams is jumping up Top Prospects lists around the industry. He’s definitely one to keep an eye on over the next year or two. He could force his way onto the 40-man roster by way of call up before he needs its protection. Last year in this same “Bonus” article, I told you that Cameron Garfield is not simply “organizational catcher guy” who comes to big league camp for a couple of weeks while extra pitchers are in camp too. Garfield, now 23, played in 95 games a year after appearing in 109. He repeated Class-A Advanced Brevard County and did see his offensive numbers slip a bit year over year. It can’t ever be forgotten that the Gulf Coast League is tough on hitters though Garfield certainly has room to grow at the plate as he continues to improve behind it. A second round draft pick in 2009, Garfield is a bit behind where he’d normally be because of some significant injuries early in his professional career. But he is a guy to which the Brewers will give plenty of opportunities to realize his potential. Catching is always a premium. Another catcher who repeats in this bonus column all the way down to his uniform numbers, Adam Robert Weisenburger continues to carry the reputation as a very good receiver. Weisenburger caught most of 2014 as Double-A Huntsville before moving up to Triple-A in August after their top backstop (Matt Pagnozzi, now with the Diamondbacks) got a September call up. Weisenburger posted offensive numbers roughly in line with where you’d hope a quality receiver/second catcher could consistently put up. As a 34th round draft pick, if he’s able to get there one day, that would be a big win for the Brewers development staff. The only new-to-the-organization guy in this column, Matthew Eugene Long is a primary outfielder who has played some second base as well. Drafted by the Angels in the 30th round back in 2009, the California native has played as high as Class-AAA each of the last three seasons. His career Triple-A slash line is .279/.358/.442 over 1102 plate appearances across 262 games. Long has played the majority of his games in the outfield the last two seasons, after playing mostly at second base in 2012. It’s been a return to familiar ground for Long who spent all of his time in the outfield from 2009-2011. 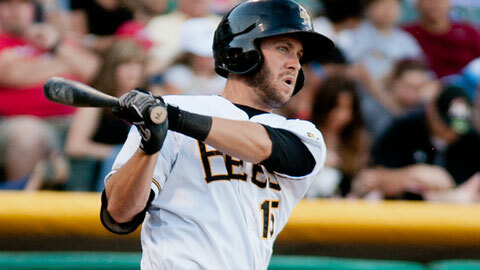 Long even found a handful of games at the hot corner last year at Triple-A Salt Lake. Versatility is the key for many minor leaguers, and if Long is to one day make his major league debut, being able to fill in at multiple positions is one way he might be able to get there. For now, he looks ticketed to the thin aired outfield in Colorado Springs to start the season. You can follow all of the players profiled in this article on Twitter. So there you have it. We’re caught up to today with #68 Ariel Peña coming later. This is a list I’m parking here, basically for my own reference, because the Brewers.com website isn’t updated yet. Here is list, broken down by position, of the announced non-roster invitees that will be initially assigned to the big league side at Spring Training 2015. I’ll update the list as players are added and do my best to remember to do the same when they are reassigned. 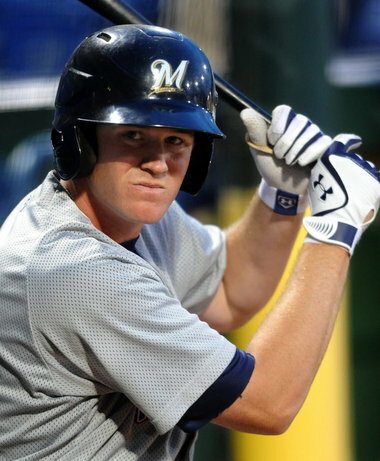 Most expect 2012 Brewers MiLB Player of the Year Hunter Morris to be added to the 40-man roster today. Today is the deadline to add players to the 40-man roster in order to protect them from the annual Rule V Draft. That draft takes place at the Winter Meetings and was originally implemented with the idea of getting players an opportunity that they might otherwise not receive. The basics that one needs to know are that if a player is selected by another club, that player must be rostered at the MLB level for the entirety of the next season and be “active” for at least 90 days. Otherwise the player must be offered back to his original organization. From there, it gets a little more complicated including upfront cost, roster construction, option years, salary differential, etc. The point though is that eligible players who would be of interest to other clubs need to be protected from the draft. The only way to do that is to add the player to the 40-man roster. Not every minor leaguer is eligible though. To be eligible for the Rule V Draft a player must have played in professional (affiliated) baseball for at least four full seasons if he was signed at age 19 or older, and five full seasons if signed at 18 or younger. The Brewers have several eligible players this year who warranted consideration for protection, but at most four open roster spots with which to protect. Last year they protected more than that and possibly adding Corey Hart add a free agent would mean someone previously protected may eventually wind up back off the roster the end. Furthermore, the group of eligible players in full could make up their own 40-man roster still have two on the outside looking in. But those most likely seriously considered include Hunter Morris, Jason Rogers, Brooks Hall, Kyle Heckathorn, Kevin Shackelford, and Tyler Cravy. Any of those aren’t added today are certainly names to look for on December 15th as teams make selections in the Rule V Draft. Others could be lost as well, especially if they’re able to be taken in the minor league portions of the draft like Eric Farris last year. I have learned that the Brewers officials have had their discussions and made their arguments as to why each player should be protected. The final decision is, as it should be, now in general manager Doug Melvin’s hands. We’ll have coverage for you whenever official word comes down. Decisions are due to the league office before the end of the day, or 11pm CST.